The National Zoo said goodbye to another elderly male cheetah Tuesday. The zoo said that after staff noticed Granger, who was 10 1/2, was losing his appetite, vets diagnosed him with renal and pancreatic disease. They monitored his symptoms until his quality of life declined. He was humanely euthanized Tuesday, the zoo said. 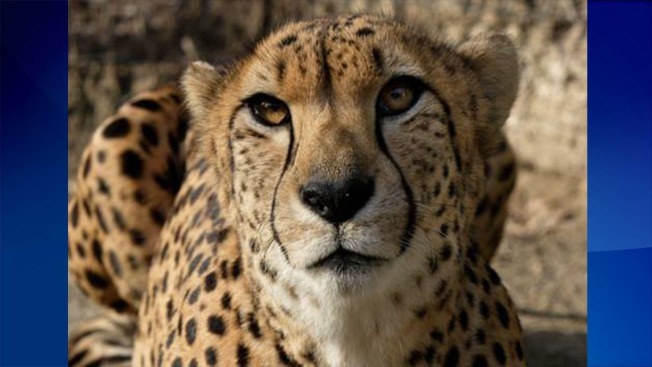 The cheetahs, all named for Harry Potter characters, lived at the National Zoo's Cheetah Conservation Station, although they also spent some time living at the Smithsonian's Conservation Center near Front Royal, Virginia. Granger was the last of the three. Draco was euthanized in January 2014 due to abdominal complications and Zabini was euthanized in August after results confirmed hepatic and pancreatic disease. All three cheetahs served as educational ambassadors for their species, showcasing their behaviors and personalities to scientists and visitors alike.